I had two placements in my third year; one with a freelance furniture designer and the other in Norway, developing ideas for an award-winning studio. What have been the highlights of you course at NTU? "The course works closely with Paul Smith so live projects designing perfume bottles with him have become a staple. We've also had the chance to work on projects designing packaging for Nestlé, which has been really interesting. We have had tutors come in from industry and lecture, which gives us something to aspire to whilst giving us some actual first-hand advice on how to succeed. "The lecturers have been very supportive throughout my university experience, providing lots of advice when needed. The technical staff are tremendous, going above and beyond what is tasked to complete a project. 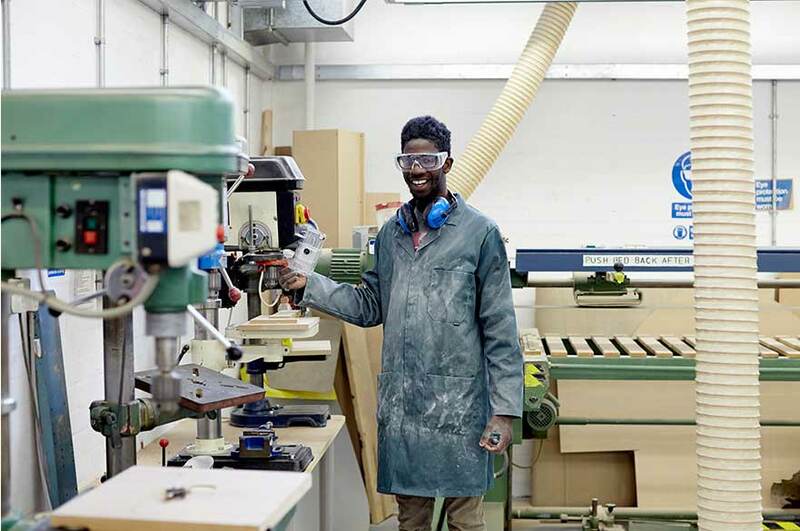 "I had two placements in my third year, the first was as a freelance furniture designer aiding in the design and development of bespoke furniture. The second was in Norway developing ideas for an award winning studio. I gained a clearer understanding of what I wanted to do with my future, while I also gained confidence in my abilities and improved attention to detail. "During my final year my focus was to exploit materials and to put together differing materials that you would not usually see together to form a contrast. I made a series of vessels out of wood and ceramic resin, and also alabaster and black ceramic vessel."